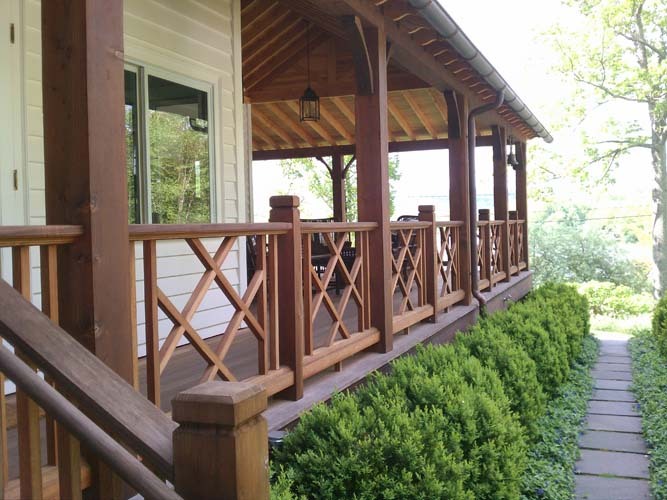 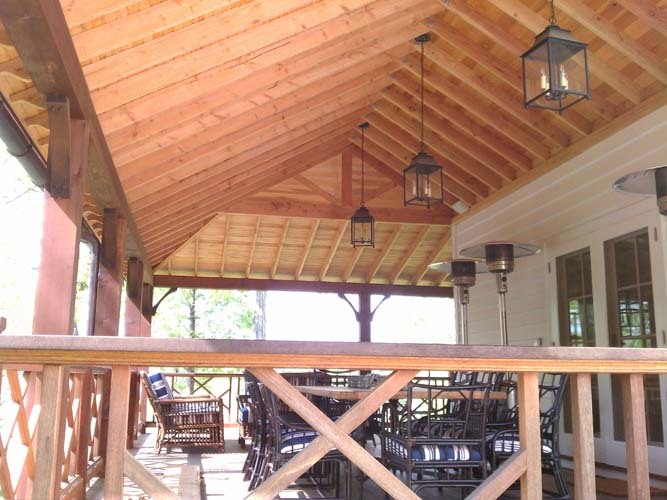 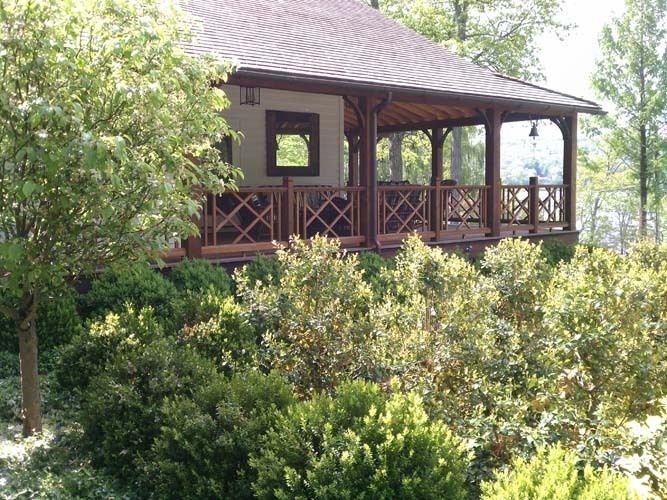 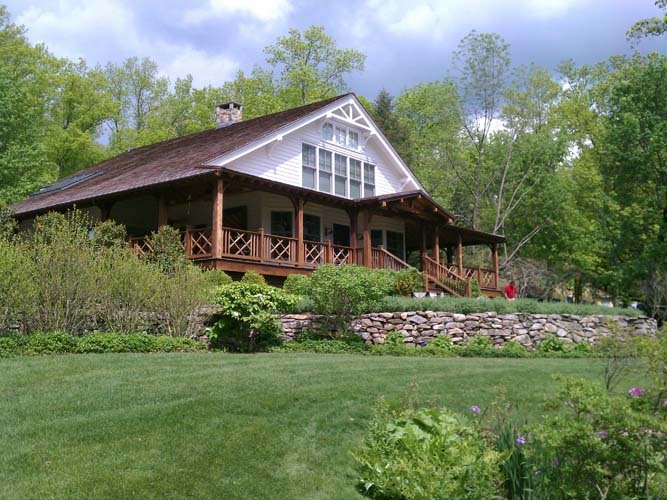 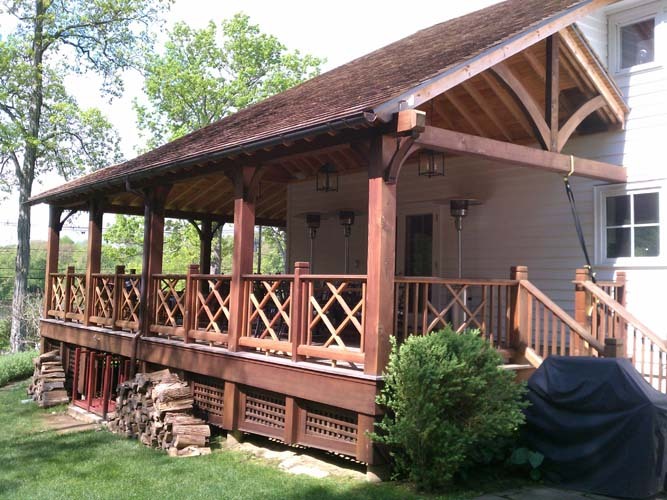 We extended the roof to create this lovely, custom covered porch addition. 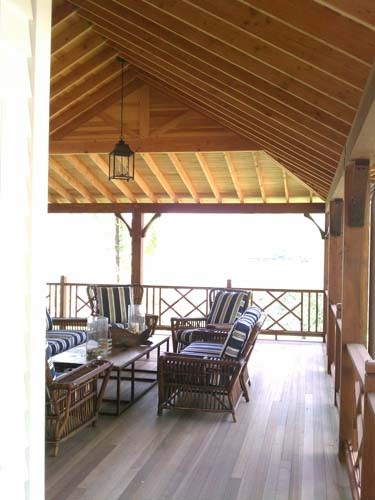 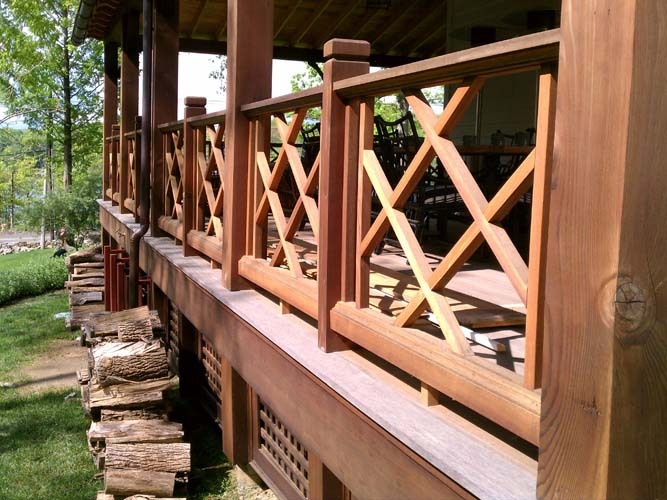 We used mahogany for the railings and fir timbers for the rest. 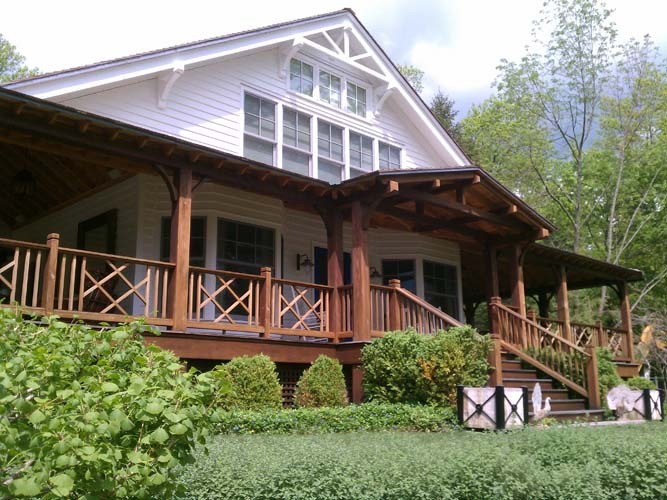 The porch wraps around the house on three sides.